“I would agree. Come to see it,” said Beverly, his wife of 56 years. “That’s the first time she has ever agreed with me,” joked Mr. Thomsen. She felt the performance was lively and he considered it upbeat. Now retired, Mr. Thomsen was the president and owner of the real estate management company that managed Woodman Tower, office spaces, and parking garages throughout the city. Shen Yun has a mission to restore 5,000 years of semi-divine civilization—China’s past cultural glory to the world. 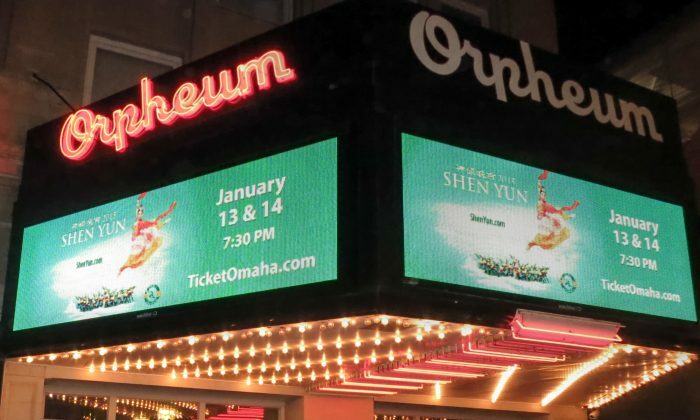 With its dancers, musicians and behind-the-scenes crew members, Shen Yun brings nearly a hundred people on tour with each of its four companies. Mrs. Thomsen didn’t know what to expect either, but felt it was outstanding. She mentioned the modesty of the women’s costumes. “I thought it was very interesting the girls always had long pants on under their dresses unlike our American dancers,” she said. “It was an enjoyable evening,” Mr. Thomsen concluded.